In October of 2012, Bishop Williamson was unjustly expelled from the Society of St. Pius X. We are going to present certain facts which, connecting them together, lead us to conclude that the Society is being controlled by outside forces, which have achieved in dividing it and taking it to the point of no return with modernist and heretical Rome and that, in consequence, little by little towards the loss of faith. And Father Bouchacourt clearly denied deicide in the now famous interview with the newspaper Clarín, denial that until today has not been retracted and in spite of this interview (or because of it? ), Father Bouchacourt was promoted to District Superior of France, the most important district of the Society. What's happened? 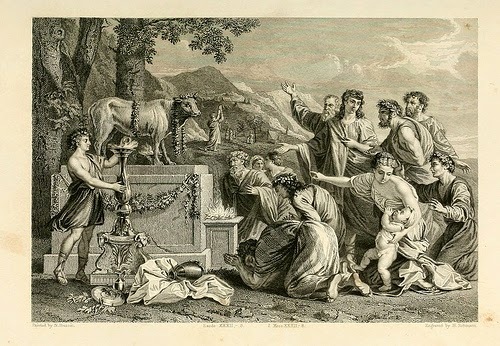 How is it possible that the Society succumbs to the golden calf? The attitude of Christians regarding Judaism, was always based on the account of the four Evangelists of the Passion and the teaching that the Fathers of the Church derived from it ... 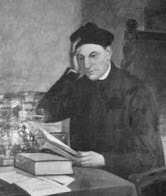 It is this fundamental, theological basis which Jules Isaac (1877-1963, Jewish member of the B'nai B'rith) wanted to destroy, by fighting against the historical value of the Gospel accounts and discrediting the arguments of the Fathers of the Church ... On June 13th, 1960, Jules Isaac was received by John XXIII who he asked to condemn the "teaching of contempt" and suggested the creation of a subcommittee to study the problem. Shortly thereafter, Mr. Isaac "had the joy of learning that his proposals were accepted by the Pope and passed on to Cardinal Bea for consideration". In 1964, this matter was referred to the Council. Isaac devoted two books to criticizing and demolishing these two foundations of Christian teaching regarding the deicide, i.e. the Gospel accounts and the doctrine of the Fathers of the Church. 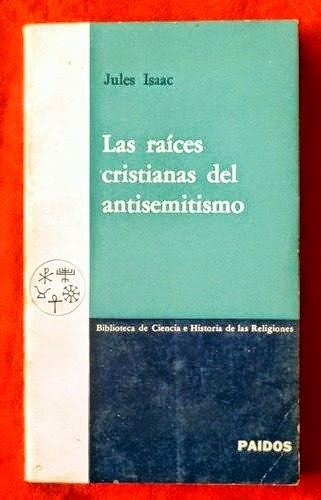 In “Jesus and Israel”, the first of these two works published in 1949, Jules Isaac attacks the Evangelists, mainly Saint John and Saint Matthew: “The historian has the right and duty to consider the Gospel accounts as evidence against Jews ... strikes the eye so that the four Evangelists had the same concern, which was to minimize the Roman responsibility in order to increase the Jewish responsibility ... the Christian accusation against Israel, the accusation of deicide ... it is this itself which is the murderer; it is the most serious, the most harmful and also the most iniquitous” (Jules Isaac, The teaching of contempt, p. 141). In summary, in the story of the Passion revised and edited by Jules Isaac, the Evangelists appear to be spineless liars, but the poison is, without question, Saint Matthew (Saint Matthew perhaps because his Gospel mainly proposes to show the Jews that Jesus had fulfilled the predictions of the Prophets). The Church, Jules Isaac tells us, is the only guilty culprit; the Jews are completely innocent ... so the responsibility of making an act of reparation falls only on the Church in order to rectify its millenary teaching. And Jules Isaac calls on or rather demands from the Council “the modification ... of liturgical prayers regarding Jews”, particularly those of Good Friday, an assertion that the Jews are not responsible for the death of Christ. 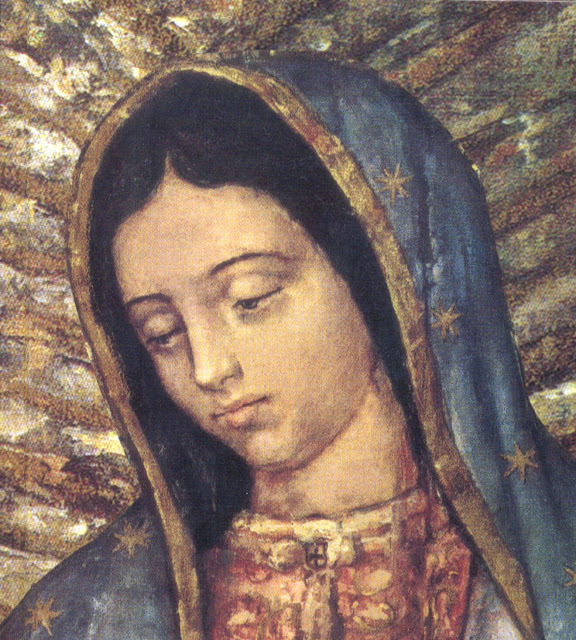 The origin of the conciliar scheme Nostra Aetate, comes from the request of Jules Isaac to the Vatican, and the 2041 Council fathers that felt that the version of the Passion according to Jules Isaac was preferable to that of Saint John and Saint Matthew. This decision, under the guise of Christian charity, is one more step in the way of abandonment of traditional Christianity and the return to Judaism. In the eyes of the Jews, this conciliar reform should be a new phase in the way of abandonment, resignation, and destruction of Catholic traditionalism that in this way is slowly being emptied of its substance (León de Poncins, Judaism and the Vatican, taken from the article by Don Curzio Nitoglia, The Deicide, p. 14). Well now, if the Jewish people are no longer responsible for deicide, the “holocaust”, as stated by the Jew Richard A. Cohen, is certainly a Catholic issue: The Holocaust is a specifically Christian theological issue for at least two reasons. First, as I have indicated, those who perpetrated the Holocaust, both nazis and collaborators, were baptized Christians, none of whom were excommunicated. Second, anti-Judaism has been an essential part of Christianity, one of its most deeply held beliefs, from its earliest formation as a Church onward. As reported in previous posts, the Society received a substantial inheritance from Mrs. Rosa Von Gutmann, approximately 90 million euros. This money comes from the steel businesses associated with Rothschild. 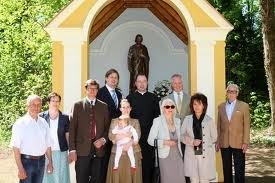 Bishop Fellay, in an effort to control the wealth, advised by God only knows, decided to remove the rightful holders (Father Michael Weigl, Ewald Stadler, Maria Schöffmann-Schlossstein) of the inheritance and put two characters who we have seen, have highly dubious connections with Jews (Krah) and eminent members of the Vatican Freemasonry (Ankershofen). In the words of Maximilian Krah in his interview to The Remnant, he was chosen by the Gutmann family. 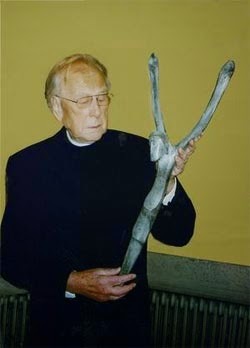 The political family of Ankershofen was the founder of and has been a part of Pro Oriente, and this pro-ecumenical foundation and faithful follower of the masonic religious freedom of Vatican II has Cardinal Schonborn as its current president, who is a close friend of the political family of Mr. Ankershofen. 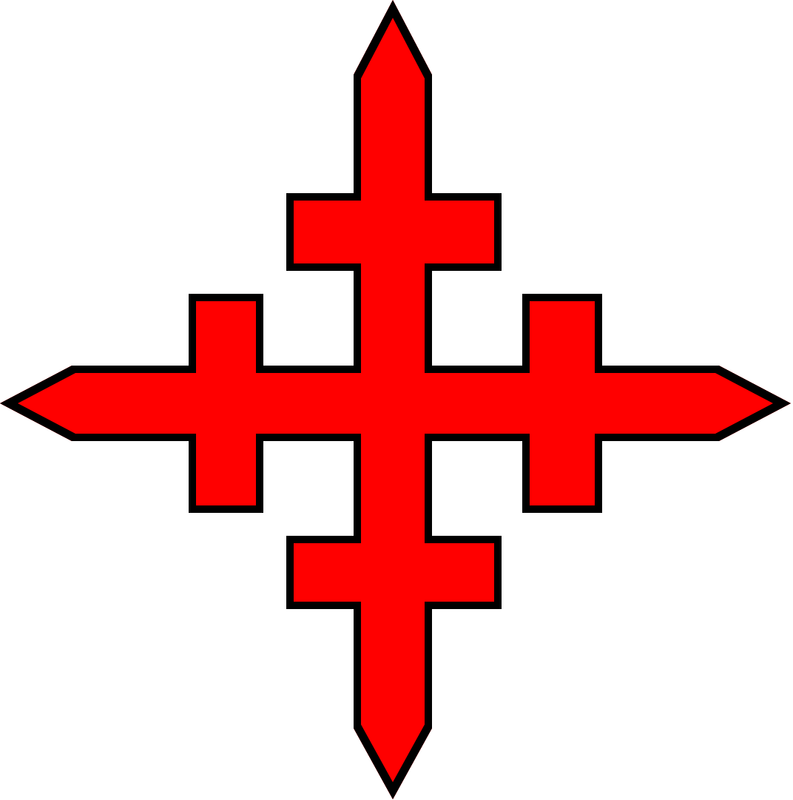 The founder of Pro Oriente was Cardinal Konig (an ally of Casaroli), its guardians are Kasper and Willibrand ... They are all interrelated in their work in favor of ecumenism and the Jews. Interviewer: Professor Allenhand, you held conversations on a regular basis with Cardinal Konig. What did you speak about? 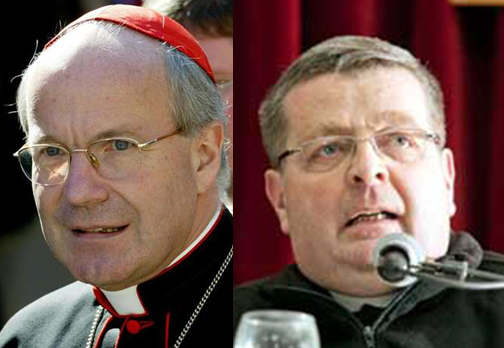 Cardinal Schonborn and P. Bouchacourt declare the same statement:The Jewish people did not commit deicide. Cardinal Schonborn was also honored by the B'nai B'rith Europe. Maurice Pinay mentions the Jewish origin of Cardinal Schonborn (see his article here). 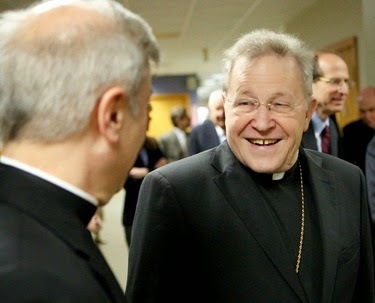 "B’nai B’rith pays tribute to Cardinal Walter Kasper upon retirement as Chief Vatican Liaison to the Jewish community. (...) B'nai B'rith described Kasper as a true and faithful partner, occasionally in difficult times, in advancing the Catholic-Jewish friendship over the decade he held the post." Regarding Cardinal Konig, as far as meeting with the Vice President of B'nai B'rith once a month as we lay out above, he also received members of this lodge in Vienna in 1966. In 1967 he received leaders of the American Jewish community and told them he was extremely hopeful that the Christian Jewish understanding would deepen as a result of the spirit emanating from Vatican Council II. Cardinal Lehmann, also having actively participated in Pro Oriente, is both a great friend of Cardinal Kasper, the guardian of Pro Oriente, and also Bishop Arborelius. We will return to Bishop Arborelius later. Cardinal Lehmann was awarded the Abraham-Geiger-Preis in March 2006 by the rabbinical institution in Germany, for his role in promoting tolerance and freedom of thought. In the same manner, when Lehmann resigned as head of the German Bishops Conference, the Jewish community of that countryexpressed deep regret. The Pro Oriente Cardinals, Archbishop Arborelius and Bishop Williamson. On the 1st of November 2008, Williamson was interviewed by two reporters from a Swedish television (see the complete 6 part documentary, The Swedish Crusade and Bishop Williamson here): Ali Fegan and his wife Belinda Olsson. In that interview Williamson questioned the number of Jews killed in Nazi concentration camps by gassing in gas chambers. The program that provided the interview vanished into thin aired two days before the “lifting of the excommunications” by Benedict XVI was made public. The decree was published on January 21st, 2009, but it is said that it was was signed from the day of January 19, the date of the issuance of the interview with Bishop Williamson. Cardinal Kasper even anticipated the Representative of the Council of Jewish Institutions in France (CRIF) that the Williamson affair will soon be over and will not, in the long term, weigh on relations between Jews and Catholics. He also claimed that Bishop Williamson's statements were stupid and unacceptable. Cardinal Lehmann said that the rehabilitation of Williamson was a disaster for all Holocaust survivors. We would like to emphasize that one of the first newspapers that announced the interview, if not the first, was the German newspaper Der Spiegel in an article dated January 19, 2009 and signed by PETER WENSIERSKI. Remember him? 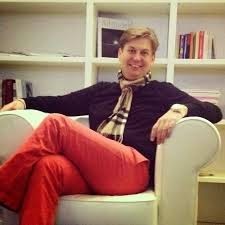 Yes, the great friend of Maximilian Krah! (See here). -He is a close friend and collaborator of Father Pfluger and Krah. -Bishop Fellay encouraged close collaboration between Wensierski, Father Pfluger and Krah. -The level of collaboration and trust between Menzingen and Peter Wensierski reached the level of providing the content of a private communication between Bishop Williamson and Menzingen so that Wensierski could make use of it for his articles. It was by Wensierski that Menzingen declared that Bishop Williamson was a “first class provocateur” who "always has strange ideas" and "exaggerates", that he was like “a ticking time bomb”, “uranium”, he “doesn’t study documents” has “Parkinson's disease” that “he is not a scholar”, etc. (See here –notice that there are three pages you must click at the left hand bottom corner) In this article, Bishop Fellay says “we have an appeal for extremists, who we don’t even want”. -In contrast, the Father Pfluger describes Wensierski as someone “honest and upright” and that his reports “were very helpful for the Society” (Personal letter from Father Pfluger to Bishop Williamson on 1 January 2011). See here the dozens of articles of Der Spiegel against Bishop Williamson. To learn more, read this testimony from the then editor of the Eleison Comments, Stephen Heiner, about what happened between Bishop Williamson and the journalist friends of Bishop Fellay. Some months passed with statements from both the Society emphasizing their distance from Bishop Williamson, as also from Rome and the Jews. Monsignor Arborelius appears in the documentary featuring the interview of Bishop Williamson on the gas chambers. Archbishop Arborelius reveals that his diocese had informed the Vatican about the content of the statements that Bishop Williamson had made to be televised before they were released and before the Pope decided to lift the “excommunication”. Arborelius also reported that on the same day of the release of the statement a program was made in which “it will be made clear that in the Diocese of Stockholm, as we usually do in matters of the Church, we had sent the information that we had about the Society of St. Pius X and Richard Williamson, including what we knew about the content of the interview that he gave to Uppdrag Granskning”. Several centrist media spoke of a plot against Pope Benedict XVI. And that's what most people thought. But if we dig a little more, who took a loss because of this interview? The SSPX and Benedict XVI negotiations continued as if nothing had happened. In fact, they were about to reach an agreement if it had not been for the leaking of the letter of the three bishops to Bishop Fellay. In reality, the only one harmed by this interview was Bishop Williamson. What really happened? The fact is that Archbishop Arborelius sent the information to the Vatican since late November 2008. How did he find out that the Swedish reporters had interviewed Bishop Williamson and about his statements? That’s easy; the Swedish reporters had had an interview at the home of Archbishop Arborelius in April 2008. The same Belinda Olsson tells us this in her blog. This means, most likely, that they worked together in the ambush against Bishop Williamson. Belinda Olsson and Archbishop Arborelius in April 2008. It is curious that this couple of reporters had been invited by Archbishop Arborelius since they are not even Catholic. In addition, in the program announced by Archbishop Arborelius in his statement, he noted the presence of his friend Cardinal Kasper. Kasper and Arborelius have appeared together several times, for example at the celebration of the Feast of St. Bridget in 2003 or at the concert of choirs in Stockholm in 2009. Tying up the loose ends, it seems that this whole scenario was mounted so that the SSPX could be recognized by the conciliar church by first ridding itself of Bishop Williamson and with him all the undesirable and uncompromising followers of Archbishop Lefebvre. 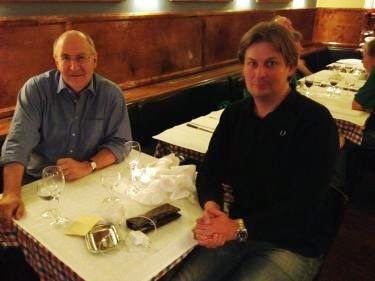 It calls strong attention to the relationship between the Swedish reporters and Arborelius, as well as his relationships with Kasper and Lehmann, who collaborate with Pro Oriente, who have relations with Ankershofen and Krah, and these who are partners of Bishop Fellay and Father Pfluger. A string, we believe, of conspirators who achieved their goal: to expel Bishop Williamson and achieve the goal of having the SSPX accept the positions of the Jew Jules Isaac dictated to them. The proof is in all the declarations in favor of the Jews by Bishop Fellay and the denial of deicide by Father Bouchacourt. Can anyone think that this is due to chance? Something probably more intricate must be clarified, and it is how the Judeo-Masonic power continues its harassment on whoever has the audacity to stain the immaculate dogma of the religion that comes to replace the salvation of Christ dying on the cross (“A Catholic God does not exist”, says Francis) with that of the redemptive Jewish people, and how it can even do this by those who can present themselves as from tradition, particularly extreme groups or sedevacantists that don't hesitate to use for their purposes all the filthy resources, such as the disgraceful images that the Jewish press used to attack Bishop Williamson when he left Argentina. Matching apparent opposites in a dialectical game that Judeo-Masonry handles like a charm to fulfill one of its own favorite statements: "Neither forget nor forgive." When it comes to investigating a crime, the first question is who benefits? The answer is undoubtedly that Menzingen benefited from it as finding in it the perfect excuse to get rid of Bishop Williamson: first by marginalizing him and then by expelling him. 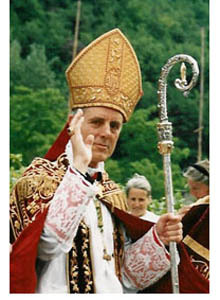 Bishop Williamson would not be a hindrance to the "cronyism" of Bishop Fellay with Benedict XVI and the Jews. It was a dirty trick, which we do not know if it was the initiative of Bishop Fellay and Father Pfluger, or Krah and Ankershofen. Or all of them. It matters little, because we know who was benefited. Some say deliriously that the interview was agreed upon by Bishop Williamson and Bishop Fellay, but what has Bishop Williamson benefited? Crucified by the world press, expelled from the Society of St. Pius X, trials held against him, the prohibition of entering into several countries, his Australian visa canceled, etc.